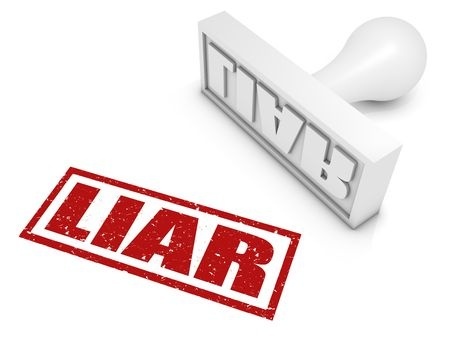 The Refiner's Fire Blog: Is it ever okay to lie? Yes it is okay to sometimes lie. What!? Do you find that shocking? We were taught that it is never okay to lie! The Bible says, "Lying lips are an abomination to Adonai, but those who deal faithfully are his delight." (Proverbs 12:22 CJB). There are many other verses which seem to suggest that lying is absolutely forbidden and the liar is doomed to Sh'ol. Take Revelation 21:8 for example: "But as for the cowardly, the untrustworthy, the vile, the murderers, the sexually immoral, those involved with the occult and with drugs, idol-worshippers, and all liars — their destiny is the lake burning with fire and sulfur, the second death." Sure sounds like lying is an unpardonable sin and that all liars are destined to the second death! Turn to Exodus chapter 1 and read with me the story of the midwives. Remember the story. A new king arises (verse 8), and among the horrors he imposes on the Israelites, he orders the Hebrew midwives to kill the male children of the Hebrew women (verse 16). But the midwives let the boys live and when asked, (verse 18-19), they lied! In verse 20, we find that the midwives were not punished for their lies, rather, they prospered! "Therefore God prospered the midwives, and the people continued to multiply and grow very powerful." (CJB). Since scripture does not record that the midwives were condemned to Sh'ol, it appears that their lie was overlooked! Another instance: Turn to Joshua 2. Here, Rachav hid the Hebrew spies who had come to inspect the land and Yericho (verses 1-4), and she lied to the servants of the king regarding the whereabouts of the spies (verses 4-5). She lied! She, too, was not condemned to Sh'ol but was rewarded for her actions (Joshua 6:17-25). But lying lips are an abomination to Adonai! Refer again to Proverbs 12:22! What gives? Indeed, other stories in the Bible reveal people who were punished for their lies! Read, for example, Acts 5:1-11. If you consider the two cases, Exodus and Joshua, we see the lie perpetrated was in defense of someone else. The midwives protected the innocent Hebrew babies with a lie. Rachav, protected the Hebrew spies with a lie. This seems to be the key. A lie, if not meant for one's personal gain, pleasure, self-indulgence, or other reason of self-satisfaction or selfishness, can be credited as righteousness. Indeed, in the story of Hananyah and his wife Shappirah in Acts 5, their lie was for personal gain - and they were punished. Well, we certainly should continue to raise our children according to Torah and teach them not to lie. Period. Children, typically learn to lie because they are learning the covering-up of guilt or they are trying to gain something; perhaps the approval of parents, siblings or peers. In other words, their nature is to lie to protect themselves. This, they need to be taught, is categorically wrong. (In their limited minds, this is not an issue. Better that it be an "absolute" to them than a "gray area". They should be taught not to lie. Period.) But as we grow into adults, we should gain from our adult understanding how God expects us to live and love each other; that sometimes for the protection of others, a lie may be permitted and desirable. Note, however, that I said "we should gain from our adult understanding how God expects us to live." We only grow in our understanding if we keep our noses in Torah, and actually learn from Scripture what it has to offer regarding how we should live and love each other. If we don't spend time with God, learning HIS ways, then from whom are we learning? I'll tell you! We would learn from our peers and our community, that's where. And sadly, when we learn from the community instead of from YHWH, we learn their godless ways and we put ourselves at risk of learning bad traits and habits which go against the teaching and instruction, i.e., Torah, of our creator. So spend time in Scripture in coming to know YHWH, and you will learn when it may be permitted in your particular situation to lie - if it is necessary. It remains a gray area, but YHWH will permit you to make the right choice at the time. Thanks Liam. What about the lie they called "white lie"? will this fall under the gray area? Well, let's define the "white lie" first. From a couple of different sources, it's "a lie with good intentions" or "a harmless or trivial lie, especially one told to avoid hurting someone's feelings." Mind you, those definitions are entirely secular. So what can we say in light of the two examples above from scripture? Well, it would actually be wrong to compare the examples to the white lie. Why? Because there are too many variations of the white lie to compare. For example, when a woman says "How do I look in this dress? ", it would be a white lie to say "Fine", even if you really didn't mean it. Seemingly no harm is done. But did the lie cause no harm? What if the dress had a spot on it you didn't notice because you dismissed the question so quickly? Later when the spot is noticed by someone else, you will be blamed. You did harm after all. What if the white lie was told because you wanted your dress to be noticed more than hers? In the first case "no harm was meant", yet harm was done and in the second case the lie was a deception for self-gain - totally wrong. You can see how a white lie does not compare to the scriptural examples above where the lie protected the innocent and the perpetrator of the lie was not condemned. Unfortunately, most "white lies" are deceptions intended to benefit the one who uttered it. These lies should be avoided for seeking personal benefit through lies is clearly wrong. (Leviticus 19:11; Proverbs 12:22). Where possible, one should always speak truthfully, especially friends, relatives, neighbors. (Ephesians 4:25). But there are situations where a white lie can be told just to be polite. For example, a clerk at a cash register asks you "How are you today?" You respond "Fine" even though you may be in pain from illness or you are sad. Saying "fine" is a simple, polite responds to the clerk, when no real, serious conversation is merited or desired. In that case, I think it is safe to say no harm was done. On the other hand, responding "Oh, I could be better" would be a more honest response and may even result in a nice witnessing moment with the clerk. The bottom line is that white lies are still lies and the spiritual person is going to avoid them. An honest response can often be provided which actually answers the question without hurting feelings. Nevertheless, since every case is unique, it remains a gray area. In Galatians 4:10-12, was Paul lying when he said, "be as I am, for I am as you are"? That is, was he denying the eternal nature of the Law while still adhering to it? No, Paul was not lying here. His point is rather obscure, but becomes clear in context. You must go all the way back to Galatians 1 to follow what Paul is saying. Remember, this is a letter to the believers in Galatia. In Galatians 1:6, Paul begins to comment to the Galatians that he is stunned to hear that they have forgotten what they were taught of the gift of the Messiah and that they have fallen back into old (pagan) ways. Paul then goes on to describe what a cad he once was because he so strongly followed and spread the teachings of traditional Judaism and that it took him years to come to a new truth. Galatians 1:13-2:21. Paul returns to admonishing the Galatians in Galatians 3. Indeed, Paul goes on in the next 3 verses (4:12-14) to clarify this point. Paul was an "open book" to them and he did not expect his sordid past to make the reject his teachings. So, no, Paul was not denying the eternal nature of the Law while still adhering to it. Rather, Paul was saying that people need to make the effort. People need to hear and do and deny their old nature and adhere to the new truth. Paul admitted that he is but a frail man with all the sin nature of man, but he overcame it and ended his old ways. This is what he was teaching the Galatians to do. So lies that save lives are ok. Life of His people is more valuable than absolutely honesty with non-members of His people. Got it!